– Our Challenge: Do we need to change the way we teach? How do we make 21st Century Skills a key priority in our schools? Back by popular demand, you are invited to the second annual CLASSROOM OF THE FUTURE INDABA at the Cape Town Science Centre. There is no charge for teachers to attend – Yes! It is all free once again – MAHALA at this INDABA for teachers. Teachers are invited from all grades and from all schools in the Western Cape. Embracing technology is no longer seen as a nice to have, but a necessity. Empowering teachers and students in the classroom, applying technology in new ways enables behavioural shift and inspires improved learning outcomes. 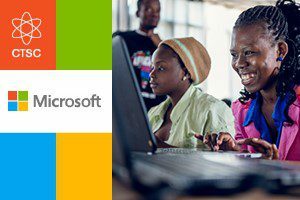 Leaders in educational technology, Microsoft along with other organisations, will be on hand to present their technologies via workshops, presentations, and demonstrations for all teachers. Join us and be inspired. Not only inspired but come to better understand how technology can work for you in your classroom. A LUCKY DRAW for a R3,000 voucher from Incredible Connection for a teacher attending both days and present at the draw on Saturday. 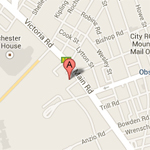 There will also be other spot prizes will be given out during the Indaba. Light refreshments will be available on both days. Ronelle’s involvement in education and teacher training started over 19 years ago. The passion for education has afforded her opportunities to work in schools, higher education institutions and adult education. Ronelle’s topic, Augmented Reality in the classroom was a passion project for her Masters in ICT. She believes that through emerging technologies such as AR, AI and machine learning, we can revolutionise the education landscape in South Africa. Ronelle is committed to the continuous professional development of teachers and the successful integration of ICT in the learning environment. Ronelle started as a Learning Consultant at Microsoft in November 2016 and since April 2018 has taken on the position of Teacher Engagement Manager. Every economy in the world depends on a workforce that is equipped for our rapidly changing world. The World Economic Forum states “Education is our deepest source of hope – we must plant the seeds now for a better future tomorrow” Besides the digital skills required for the future workforce, what other skills will be required by the Class of 2030. What infrastructure (Wi-Fi & hardware) does a school need to start using O365 for Education? Setting up O365 on school networks, set-up costs and licencing information. With sincere thanks to the Western Cape Education Department, Microsoft, EduPaths, Computers for Kids for supporting these events!